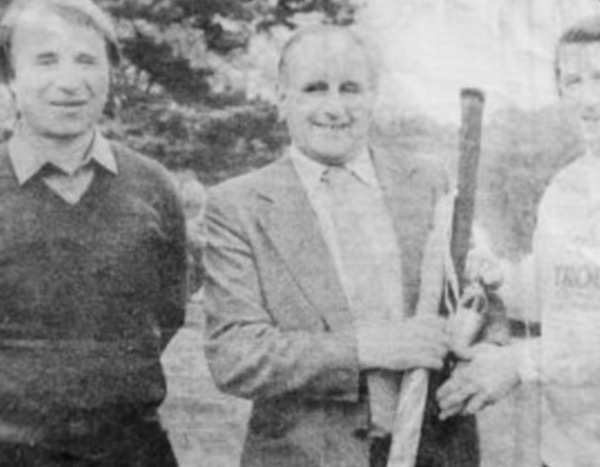 In the early 1980s, Calverton villager, Rex Little, was at the centre of media attention with his exploits using a fishing rod. Newspapers of the time ran articles of the said exploits. Here are a few archived ones. Rutland Water opened its sixth season three weeks early this year and quickly dispelled fears that fish would be out of condition. From the start of the season it lived up to its reputation as a fine trout fishery with catches of both quality and quantity being recorded. Rainbow trout were feeding well and 90 per cent were clean silver fish. On Friday, April 2, the first bag limit of eight fish was caught before 11am by a Leicester angler only a few minutes before Paul Howland of Peterborough weighed in eight rainbow trout weighing an impressive 20 pounds. The big fish showed in the afternoon with Mr A. Korodi of Leicester taking a 7Ib 2oz brown and on Sunday Mr Robert Faulkner of South Wigston, Leicestershire caught a 8Ib 1oz rainbow from the Normanton shore. All of these fish were overshadowed on the following Tuesday when Rex Little of Calverton, Notts caught a 10Ib 2oz brown trout from the bank only 100 yards from the Whitwell Lodge. This fish is a new record for Rutland Water beating the previous fish by four ounces. Fifty-four year old Mr Little, a fitter with the National Coal Board, has fished Rutland for the past three years and he has donated the fish to be set up in the lodge. LITTLE AND LARGE! Dazzling show as miner bags Rutland record! Giant Midland trout fishery, Rutland Water, has produced its first ever double-figure fish, a 10Ib 2oz brownie. Only four days into the new season, the record breaker was landed by Nottinghamshire colliery fitter, Rex Little. He had gone to the reservoir for a day's boat fishing, but decided to have a go from the bank before going afloat. Fishing a Black Lure tied to a size eight hook, Rex had the historic take on only his third cast of the day, just after 7am. He battled with the beautifully conditioned fish for 15 minutes before netting it. But Rex, a regular at Rutland since he began trout fishing three years ago, had no idea he had a record on the bank. "I thought it would go about 8Ib, but I did not bother to weigh it for 20 minutes or so," he said. Rex had been fishing with a sinking line and seven and a half pound leader from Ernie's Point, a noted area only yards from the reservoir's lodge. David Moore, Fisheries Officer for the Welland and Nene Division of the Anglian Water Authority, which runs Rutland, said the fish would have been one of those originally stocked as a half ounce fry in 1975. The previous record stood at 9Ib 12oz and was taken at the end of last season. That was also one of the original stocking. "The record seems to be increasing by about 1Ib each year and I am sure an 11 pounder will be landed before the end of the season," commented David. Rex's record will become part of Rutland's history, and a major talking point for years to come. 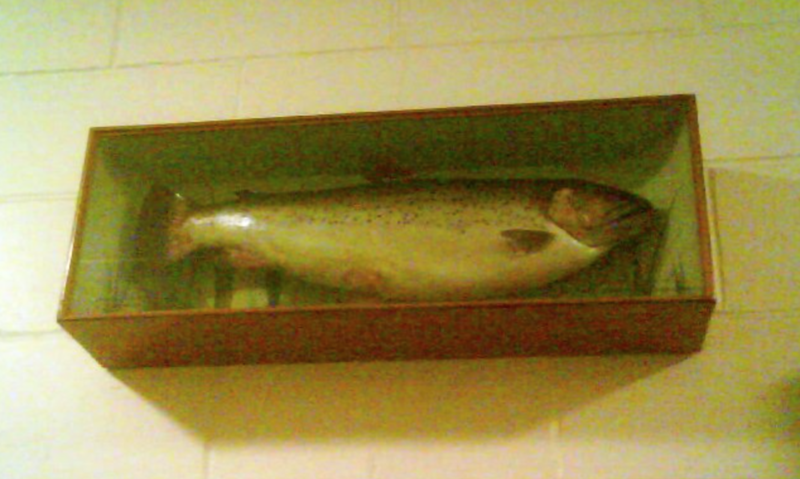 He left the fish at the lodge to be set up as an exhibit. "It was very generous, not just because it was thev first double taken from the water, but because it was one which grew up here," said David. Sending off the competitors in the final of the John Barr Troutmaster last week, the organisers jokingly offered a free meal to all those who weighed in their maximum 15 fish by lunchtime. Just two hours and twenty minutes later, Rex Little of Mews Lane, Calverton was back with a full bag weighing 16Ibs 9oz. 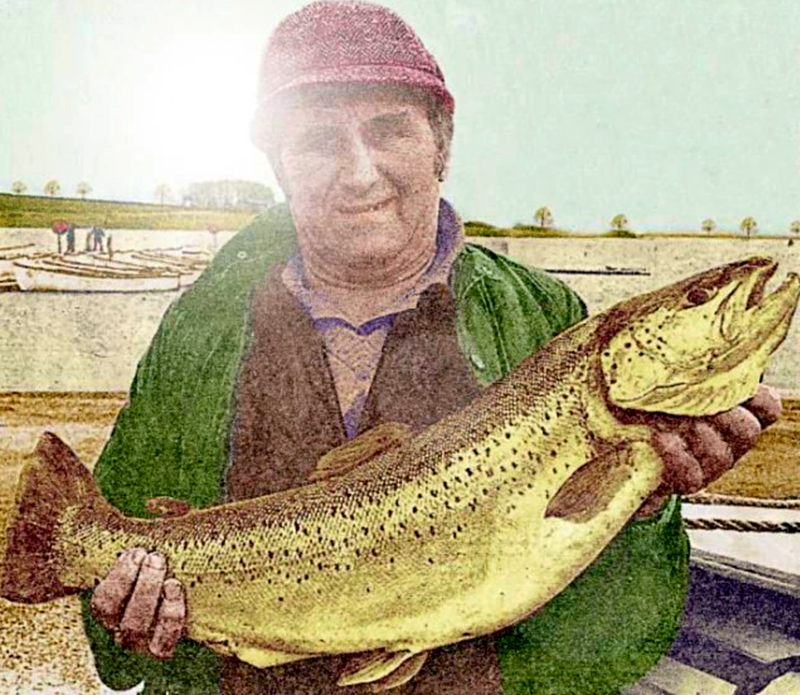 When the other 31 competitors weighed in more than three and a half hours later, at Patshull Park, West Midlands, Mr Little discovered that only three fishermen had been able to beat him. In addition to his fourth place prize of a bottle of John Barr Scotch whisky, a Bruce and Walker rod and an umbrella, competition sponsors George Cowie and Sons have asked artist David Hughes to produce Mr Little a bronze copy of the sculpture presented to the competition winner, John Dullaghan of Ibrox, Glasgow. John's winning bag was 17Ib 8oz. Right: Pictured left to right: Top fly fisherman, Bob Church, Rex Little and John Barr sales manager, Derek Carr.